CHOLLEY Ocean Breeze Program is an anti-stress mask, for the treatment of skin that needs rehydration and reinvigoration. Rich in marine extracts, it is a soothing gel hydrating mask, with a beautiful fresh feel and an enchanting perfume. 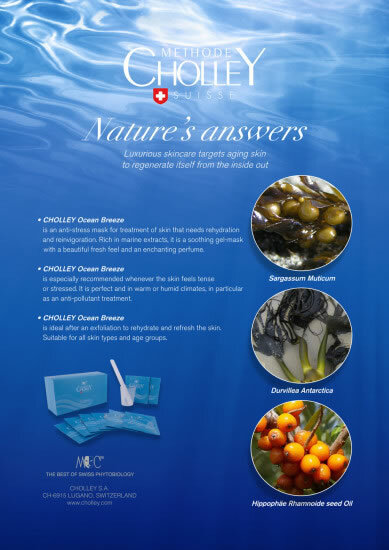 CHOLLEY Ocean Breeze Program is especially recommended whenever the skin feels tense or stressed. It is perfect in warm or humid climates, in particular as an antioxidant treatment. Its combined use with BIOCLEAN AHA Peeling System delivers excellent results. 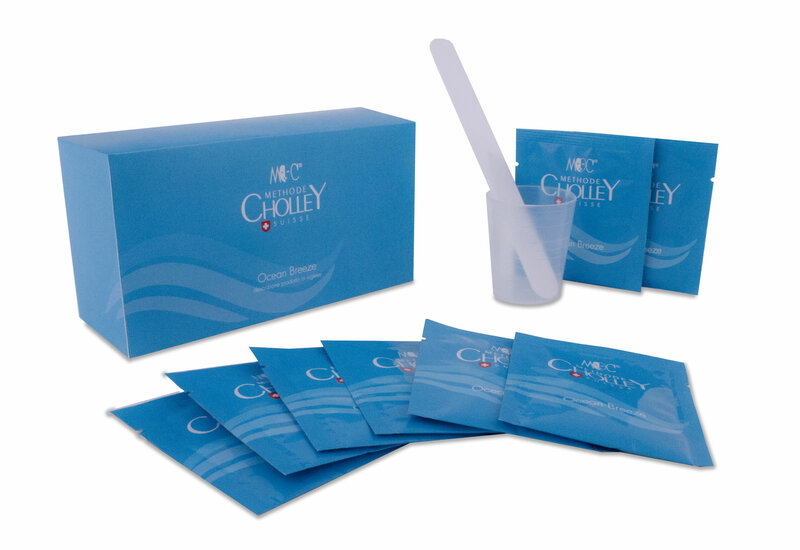 CHOLLEY Ocean Breeze Program is suitable for all skin types and age groups. It can be used 2 to 3 times a week as a hydrating face mask. Sargassum Muticum – obtained from a large brown seaweed that grows in temperate and tropical oceans. It generally inhabits shallow waters and coral reefs. Its extract is strongly hydrophilic, and as a natural anti-pollutant protects the skin against oxidation. Durvillea Antarctica – a robust kelp that grows in sub-polar shores of New Zealand and Chile. Its extract is rich in alginic acid, which is very effective against free radicals that cause cellular degeneration and aging. Hippophäe Rhamnoide seed Oil – extracted from Sea-buckthorn that grows naturally throughout mainland Asia. Well-known for its haemostatic and anti-inflamatory properties, sea-buckthorn oil has been used for centuries, internally and topically for gastro-intestinal and dermatological disorders.